Around 600,000 people travel to the UK every year to learn English in the birthplace of the language. The UK is home to the English language and its qualifications are recognised wherever you go. The UK has a worldwide reputation for academic excellence. English language schools in the UK which are accredited by the British Council are regularly inspected to ensure that high standards are maintained in every area of school life, including course design, teaching and learning, premises and facilities, student welfare and accommodation, leisure opportunities and accuracy of promotional materials. 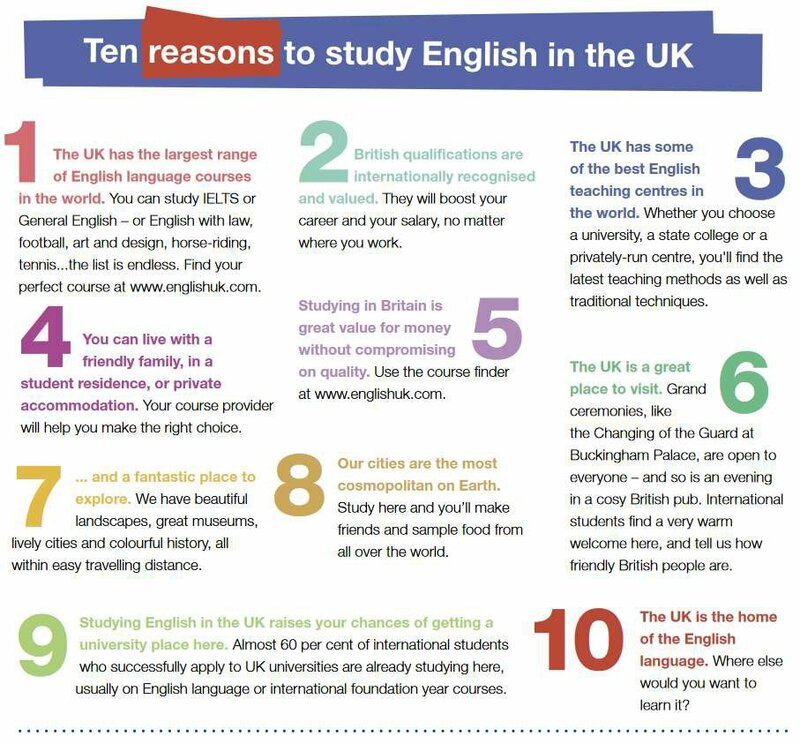 Because of this you can be sure that if you study English in the UK in an accredited school, you will get exactly what you are promised. The UK is an exciting place in which to live, with a rich mix of history, culture, global influences and opportunities to learn and progress in any chosen career. You will have the opportunity to meet people from all over the world! You will have the chance to travel around the UK and into Europe by making the most of the good travel links which are in place. Why not come and find out for yourself!